In many of the cases where stand your ground immunity was claimed, it was later denied, a murder charge reduced to manslaughter or dropped, and a manslaughter conviction was successful. Just because there’s a stand your ground law in your state doesn’t mean you can just kill another person and not go to prison for it. Historically, long before “stand your ground” (“no duty to retreat”) came into play, the law in every U.S. state would appear to have still warranted at least a manslaughter conviction in many cases where an unarmed person was killed. Although state laws can vary on sentencing, manslaughter was the final verdict recently, in the cases of Cordell Jude, who killed Daniel Adkins, Jr. in Arizona, and Quentin Wyche, who killed Kendall Berry in Florida. Neither victim was armed. Both cases, connected to the web of situations involving stand your ground laws, and over 2300 miles apart, went to court this month, with a conviction in Arizona and sentencing in Florida. 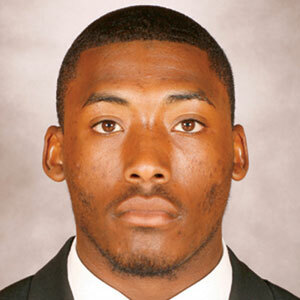 Kendall Berry, 22, was a star sophomore running back at Florida International University. They may not have even realized they had played together in the same kids’ football league or pickup basketball games. 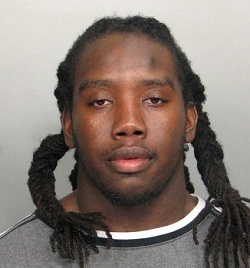 But on March 25, 2010, they tangled on the FIU campus over Berry’s girl. Wyche had smashed a cookie in her face earlier that day, because she wouldn’t give him a ride on the campus golf-cart shuttle she drove. Berry, with several football teammates, confronted Wyche, who ran away, with Berry following. 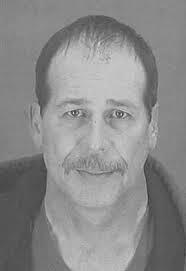 As Berry caught up with him, Wyche pulled a pair of scissors from his backpack, said something like “I’m gonna get you”, or “kill you”, according to witnesses, and lunged back at Berry, causing his death. Wyche claimed immunity under Florida’s stand your ground law, but it was later denied. He was convicted of manslaughter in September. Last week, on November 25, Wyche, now 25 years old, was sentenced to 20 1/2 years in prison. 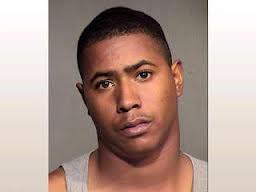 On April 3, 2012, Daniel Adkins, Jr., a 29 year-old disabled Hispanic-American man, was walking his dog in Phoenix, Arizona when Cordell Jude, then 22 years-old, an African-American driving with his 8-months pregnant girlfriend, pulled out of a Taco Bell drive-thru. Jude told police he slammed on his brakes as he almost hit Adkins walking across the parking lot exit. He said Adkins shouted something at him, then approached and hit his car with something that looked like a bat or pipe. Jude claimed he fired a gun he kept in his lap as Adkins was about to swing at him again. The only object found on Adkins was a dog leash. Jude was later charged with 2nd degree murder. On November 20, 2013 he was found not guilty of second degree murder but convicted of reckless manslaughter in what is called “reverse Trayvon Martin” case. In 2014 he was sentenced to a mitigated term of eight years’ imprisonment with ninety-nine days presentence incarceration credit. An appeal was later denied. WALKER COUNTY, Ga – In another example of “stand your ground” law gone wrong, a 72 year-old man suffering from advanced Alzheimer’s disease who had wandered away from his home was shot four times and killed early Wednesday after ringing the doorbell and turning a doorknob at a home in Georgia. This is the second reported case this month of someone being killed after approaching a home in the middle of the night. 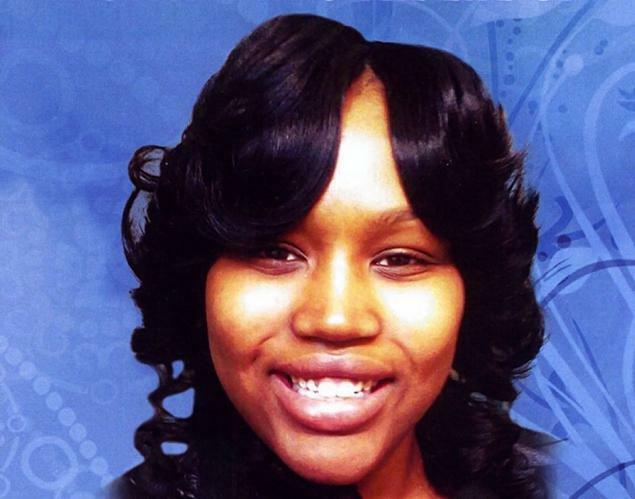 On November 2, 19 year-old Renisha Mcbride was shot and killed in Dearborn Heights, Michigan. The man, Ronald Westbrook, of Walker County, who had one or two dogs with him, apparently wandered three miles away from a home he shared with his wife, who did not know he was gone until contacted by police. Suffering from advanced Alzheimer’s, Westbrook was wearing only a light jacket and straw hat in sub-freezing temperatures. He was killed about 4 a.m. on Wednesday morning by Joe Hendrix, 34, who, apparently thinking it was an intruder, went outside with a .40 caliber handgun to investigate, as his fiancée was on the phone with police. They had just moved into the home, at the end of a cul-de-sac, a few weeks ago. 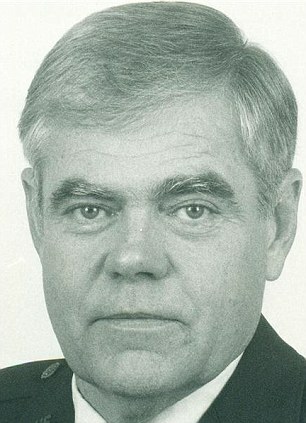 Hendrix claimed Westbrook approached him, ignoring several commands to stop, and that he fired four times, killing Westbrook with a shot to the chest. Reports are that Westbrook had been diagnosed with dementia two years ago and was mute due to the Alzheimer’s. Walker County Sheriff Steve Wilson, who was personally acquainted with Westbrook through church services, said the victim was likely lost and confused. He also said that, though he thinks Hendrix should not have gone outside the house, it doesn’t appear he violated any laws. Hendrix has not been charged as an investigation of the shooting continues. Georgia has a stand your ground law – the “no duty to retreat” – which may justify the shooting. 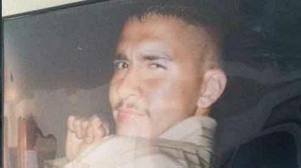 The district attorney must decide whether the case fits the criteria for stand your ground. “We reserve our options and rights to file charges once the investigation is complete, if we feel like Georgia law warrants charges being filed,” Wilson told the Chattanooga Times Free Press. Jesse Jackson and his Rainbow Coalition recently filed a lawsuit against Georgia challenging the state’s stand your ground law. 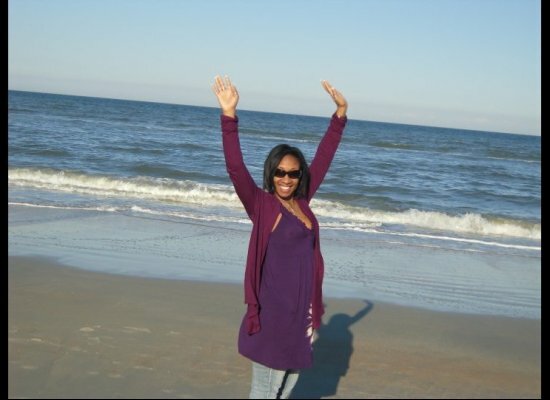 Marissa Alexander, a Florida mom who fired a warning shot at an abusive husband, and was sentenced to 20 years in prison, only to be granted a new trial, is free on bond and home with family – in time for Thanksgiving and the holiday season. After a bond hearing, Alexander – who has served almost three years of the sentence handed down in 2010, was released on three bonds – one for each of her charges for aggravated assault with a deadly weapon – totalling $200,000 – just before midnight. She is under house arrest. Supporters had hoped that Corey would drop the case against the 33 year-old mother of three who had been sentenced to 20 years in prison for firing a warning shot at her abusive husband. Her sentencing produced an uproar by women’s rights groups and she became an iconic symbol for those against domestic violence. Alexander was released with special conditions, according to court records, most not unlike any other felony case. She will be under supervision of the Pretrial Services Program (PSP) with electronic monitoring on house arrest, and is not allowed to leave her home except for medical emergencies, court appearances, or request by the PSP. Of course, Alexander is ordered (again) not to have any contact whatsoever with Rico Gray or his two boys. Since she is still going through divorce proceedings, all orders pertaining to those proceedings will be facilitated by an unnamed third party. Alexander is not allowed to possess or be near any firearms, cannot consume any alcohol or drugs, and is subject to random drug testing and warrantless searches. She was granted a new trial in September, then moved from state prison to Duval County in October. However, the judge at that time only granted a new trial date of March 31, 2014, but denied her bond, disappointing supporters. This Movement to End Stand Your Ground supports the movement to free Marissa Alexander and celebrates her release on bond, since her case exemplifies misapplication of stand your ground laws. Based upon the case history, it would appear that Alexander originally would have deserved to have been granted immunity from prosecution under Florida’s stand your ground law, but she was denied immunity. 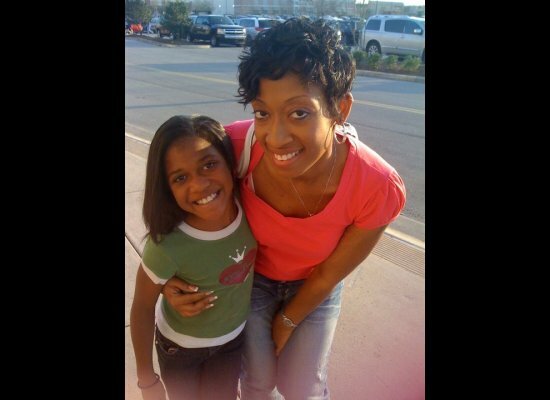 Can Renisha Mcbride Killer Claim Stand Your Ground Defense? A common thread in many of the cases where a person claimed a stand your ground defense after killing an innocent, unarmed person, is that there is usually no other defense for the killer to stand on. The killer of Renisha Mcbride will likely not claim stand your ground. A pretty young African-American woman, 19 year-old Mcbride, a 2012 Southfield High School graduate, had wrecked her 2004 Ford Taurus in the early morning hours of November 2. She apparently walked into the suburban neighborhood of predominantly white Dearborn Heights, Michigan looking for help. It’s not clear why she could not use a cell phone to call for help. Mcbride was shot in the head at close range with a 12-gauge shotgun after banging on a door at the home of Theodore Paul Wafer, 54, now charged with manslaughter, second-degree murder, and felony use of a firearm in her death. Toxicology reports show McBride had a blood alcohol content of 0.218%, more than twice the legal limit, and a trace amount of marijuana in her body when she walked up on Wafer’s porch. Wafer reportedly claimed he thought it was a burglar and that the shotgun discharged by accident. The state of Michigan does have a “stand your ground” law – a self-defense statute that includes the “no duty to retreat” clause. However, Wayne County Prosecutor Kym Worthy has already dismissed the notion of a stand your ground defense. “The evidence will show that self-defense was not warranted,” Worthy said. “Under Michigan law, there is no duty to retreat in your own home; however, someone who claims self-defense must honestly and reasonably believe that he is in imminent danger of either losing his life or suffering great bodily harm, and that the use of deadly force is necessary to prevent that harm”, said Worthy. 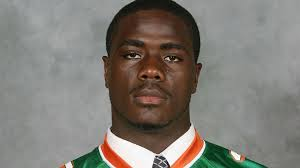 Many people are comparing this incident to the shooting of Jonathan Ferrell, 24, an African-American former college football player killed in North Carolina by police under similar circumstances in September after his car broke down. Before anyone goes further in the discussion of SYG as it applies to the Renisha Mcbride case, or a crusade to use this as a prudent stand your ground case, it’s wise to acknowledge that this should not be construed as a stand your ground situation. There are many other cases with circumstances that clearly afford the claim. Caution should be used before any presumptions of the shooter’s intent. While the McBride shooting simply exemplifies the danger of stand your ground laws, her killer has not claimed a stand your ground defense as immunity from prosecution for a justifiable homicide. And self-defense in your home – where you have the right to be – is automatically afforded universally under Castle Doctrine. Wafer’s attorneys may possibly try to secure the stand your ground option, but it would be a foolish move. He did, in fact, use the indoctrinated “no duty to retreat”. Yet there is no indication he was ever faced with the threat of injury or death from Renisha Mcbride, and has not claimed the perceived fear nor premise necessary to secure a stand your ground defense. It would be easy for someone who wasn’t affected by the murder of Jordan Davis one year ago to ignore the legacy his death is destined to leave behind. But on this one year anniversary of the night the young African-American teenager was gunned down, many people are still grieving and waiting for justice. Today in Jacksonville, Florida, loud music blared across Latham Plaza in remembrance as family, friends, and others gathered for a vigil to celebrate the life of a young man gone too soon. On Black Friday, the day after Thanksgiving last year, the 17 year old was gunned down as he sat in an SUV with friends at a Jacksonville gas station. The shooter, Michael Dunn, claimed he felt threatened after getting into an argument over loud music pumping from the SUV. 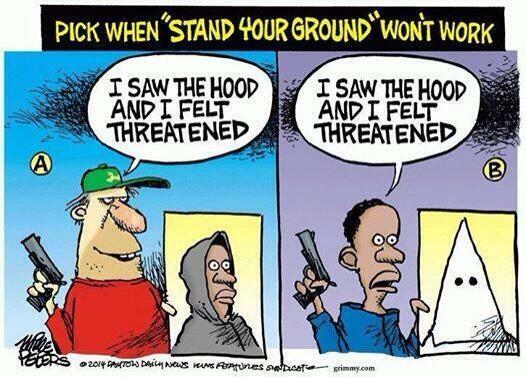 He is expected to invoke stand your ground immunity. Jordan Davis’ mother, Lucia Mcbath, and father, Ron Davis, have been on a non-stop crusade to bring about a repeal or changes to stand your ground laws, as they look forward to Michael Dunn’s trial, set for February 3 next year. Mcbath, now the national spokesperson for Moms Demand Action, recently testified before the U.S. Senate and both parents spoke to Florida’s House of Representatives at hearings on stand your ground laws. Mcbath says she wants his legacy to be that “everyone has a right to live freely, without fear”. 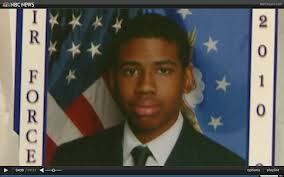 You can honor the life of Jordan Davis by signing the petition to repeal stand your ground laws. Ohio state lawmakers, despite months of multiple protests, demonstrations, and thousands of signatures on petitions, are poised to enact sweeping changes that expand the state’s self defense laws and eliminate a duty to retreat, a primary factor that creates dangerous stand your ground laws. By a vote of 62 to 27, the Ohio House of Representatives this week voted in favor of HB 203, and passed it to the state Senate for approval. The new legislation would expand no duty to retreat to include anywhere a person has a right to be in Ohio, effectively creating a form of stand your ground law in the state. All American states have some sort of self-defense laws. Currently, as in other states, Ohio residents, under current Castle Doctrine, have no duty to retreat in their homes or vehicles. While HB 203 doesn’t include the words “stand your ground”, it implies it. Ohio residents have been outspoken in their stance against HB 203. Akron, Cincinnati, Youngstown, Dayton, South Euclid and Toledo had all filed resolutions opposing the bill. On the opening day of the Ohio Legislative Session last month several student, labor, political and clergy groups held rallies, protests, lobbied legislators and delivered petitions and municipal resolutions opposing HB 203. That day also brought out tension from both sides of the polarized debate, as opponents of the HB 203 were met by handfuls of gun-toting proponents. Some proponents say the bill is unfairly being called a “stand your ground” law when it is what they claim only an enhancement of current state gun laws. 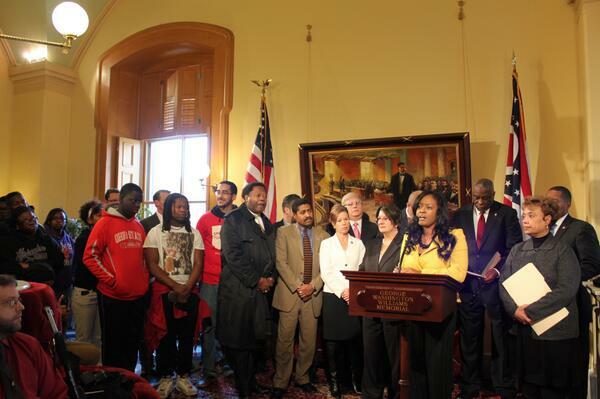 Opponents assert that Ohio doesn’t need stand-your-ground, and believe the proposed law isn’t about self-defense, but is instead about a fear of black people – going beyond the state’s current self-defense laws – and allows for the killing of unarmed people. It currently requires 12 hours of firearm training to get a concealed-carry permit in Ohio; under HB 203 that would be cut to 4 hours. Proponents argue it would make it financially easier to get a permit. Opponents argue it would be inadequate training. The new gun law would also make Ohio automatically recognize concealed weapon permits issued by any state that recognizes Ohio’s permits; and bring the state into compliance with the National Instant Criminal Background Check System, so anyone with a state gun licenses can automatically buy a gun without a background check. The two-hour House session this week was briefly interrupted by a courageous group of protesters who shouted, sang, hung a banner over a balcony, and chanted “O-H-I-O, stand your ground has got to go” as they were escorted out (video courtesy of Mark Kovac, CapitalOhioBlog). A Ku Klux Klan group from North Carolina distributed recruitment flyers in New Smyrna Beach, Florida recently, surprising residents of a neighborhood which is predominantly African-American, reports WFTV. The KKK group claimed they randomly picked the neighborhood, and that the effort in this neighborhood was an “accident”, but any organization distributing materials would usually know their target market. Many African-Americans are familiar with the violent history of the KKK and with Florida’s well-publicized stand your ground law. A provocative incident like this would seem to have the potential to become explosively ill-timed, should a neighborhood resident with no duty to retreat be provoked by a member of the group and feel threatened. A similar incident was reported in Illinois last month. Do you think the scenario of the KKK in African-American neighborhoods has the possibility to cause a stand your ground incident?